Q: Who is covered by Medicare? A: Any individuals aged 65 or older, as well as those under the age of 65 who suffer from certain illnesses or disabilities. Q: Will Original Medicare (Parts A & B) provide coverage for all of my medical expenses? A: Unfortunately not. Part A requires both a deductible that you will be responsible for paying before coverage can begin and also co-insurance payments. Part B includes premiums that you will also be responsible for paying. For those that know they will have trouble with medical payment coverage for their deductible or co-insurance payments, additional coverage can be supplied by Medicare Supplemental Insurance, which can cover as much as the full amount of these costs. If you would like to know more about Medicare Supplemental Insurance, fill out the form on our website or give us a call at our toll-free number and we would be happy to help you. Q: When is the best time to apply for a Medicare Supplemental Insurance (Medigap) policy? A: You should apply within the first six months of your 65th birthday. During this time, you cannot be turned down for a Medigap policy. After that six month period has passed, you can still apply for Medigap, but the costs could increase and there may also be a six-month pre-existing condition waiting period. Q: Could a pre-existing condition make me ineligible for Medicare Supplemental Insurance (Medigap)? A: This is the role of the pre-existing condition waiting period after the six month period of open enrollment has passed. If a pre-existing condition is found during this time, there is a possibility of being turned down for Medicare Supplemental Insurance (Medigap.) It is because of this that it is best for all individuals to apply for this additional insurance coverage during the open enrollment period that takes place during the first sixth months after one turns 65. Q: How can I apply for Medicare Supplemental Insurance (Medigap)? A: Even though they are provided by the federal government, Medigap policies are available from private insurance companies, so costs will vary. Therefore, you can apply for it through any of the private insurance companies that offer it. However, because costs can vary so greatly, it is recommended that you first compare companies and their costs using a tool such as the Medicare Supplemental Insurance Comparison Service that we have provided for you. To use our free service, just visit our homepage and fill out the simple form and we will provide you with the best Medicare rates! Q: Why do some people consider Medicare to be an entitlement program? A: Since the services rendered often cost more than the individual has paid in, some consider Medicare an entitlement program. However, since all employed people pay into the program during their working years, it is not actually an entitlement program. 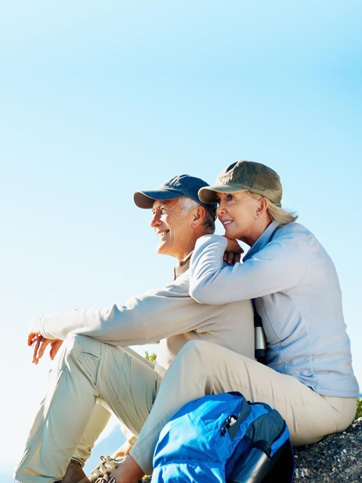 Learn about the differences in the Medicare Supplemental coverage and package options. Medicare insurance is substantially the same but there are differences you should know about in each package. Learn about Medicare enrollment and how you need to take advantage of this time of year. Compare Up To 35 Providers In Our Medicare Network! MedicareRates.com will help you compare and save on your medicare plan. Just use our FREE service to find the best plan for you! MedicareRates.com is a resource for Medicare Supplement and health information. MedicareRates.com is not associated with or endorsed by government websites and/or publications. We believe the sources we use to provide easy-to-understand information is reliable and trustworthy. If you would like to find more information about the US Government Medicare program please visit the Official US Government Site for People with Medicare located at medicare.gov. By completing the contact form above or calling the number listed above, you will be directed to a licensed sales agent who can answer your questions and provide information about Medicare Advantage, Part D or Medicare supplement insurance plans. Agents are not connected with or endorsed by the U.S. government or the federal Medicare program. *AIG, Aetna, American Continental, American Republic, Amerilife, Anthem, Assurant, Bankers Life and Casualty, Bankrate, Blue Cross Blue Shield, CIGNA, Coventry, eAmerifamily, Genworth, Gerber, Golden Rule, HealthMarkets, Highmark, Humana, Kaiser, Mutual of Omaha, Precise Leads, Secure Horizons, SelectQuote, Sterling, United Medicare Advisors, United Healthcare, WellPoint, TZ Insurance Solutions LLC, Allied Insurance, Health Plan One, Insphere, Choice Direct or Medicare Solutions.